Thanks to JBF for the heads up. Here is Kristin’s red carpet interview with Terry O’ Quinn where he hints that he is the MiB because of the shirt he is wearing and much more. David in Rhode Island: Will there be resolution about Claire and Jack? Will he find out they’re related? According to Matthew Fox, yes! He says Menang Ceme the fans will be satisfied and that will not be left hanging. Edward in New York: Will Ben Linus get any more honest this season? According to Michael Emerson, no. “I have always meant to be forthright, it’s just that sometimes you get in a pinch and your mission requires that you fudge the truth a little and get things done!” That said, when you meet the new big bad you will see that Ben is a cowering puppy dog in comparison. 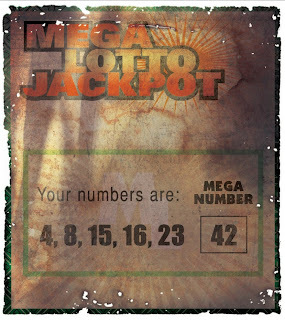 Thanks to Benjamin from http://lost-spoiler.over-blog.com for sending us this new promo. Thanks to Sandy for the heads up. Do you care about who built the statue? “Our rule of thumb is if the characters who crashed on Oceanic 815 care about it, or if the answer is relevant to them, we’re going to answer it,” he said. “But if it’s a mystery that the fans care about that has no bearing on the lives of our character, we’re not going to answer it. Lost Spoilers On Youtube Ad? Update: 17:20 Thanks to Alia for sending this over and to everyone who mentioned it. Being from the UK we don’t get to see the USA Ad’s on Youtube, so I can’t confirm if the Audio is Season 6 Audio. Thanks to Sarah for the following. 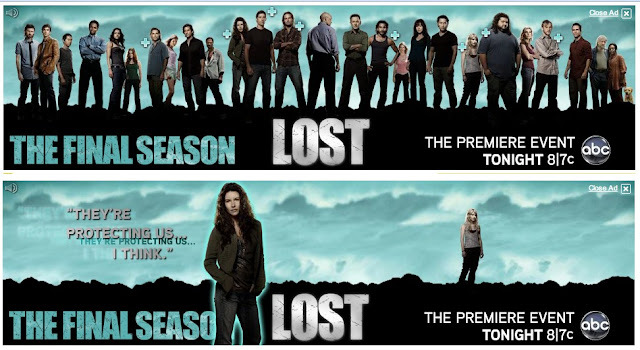 On Youtube there is a huge banner at the top of the homepage for Lost with all of the characters. Some of the characters have a little “+” next to them, and you can hover over it and hear a clip of audio. I think the audio is from season six! Just an example, when you hover over Kate, all the other characters disappear save for Claire, and you hear Kate saying, “They’re protecting us, I think,” with some jungle/animal noises in the background. Thanks to Michelle for providing a transcript of each audio part. Sawyer: “Welcome aboard.”– Kate is highlighed, and an elevator pops up in the far corner. Thanks to my contact PF108 for the following. Were filming back in the Alt today(Tues), either 6.13 or 6.14 (not sure). They are in a Office building downtown. Jack, Claire, Illana, Desmond and David (I believe this is Jack’s son) are all in this scene.